Key success factor in technology investments: skilful focus configuration and implementation. Client invested in industry-leading IT management software but failed to achieve infrastructure stability as the software suite was poorly implemented. 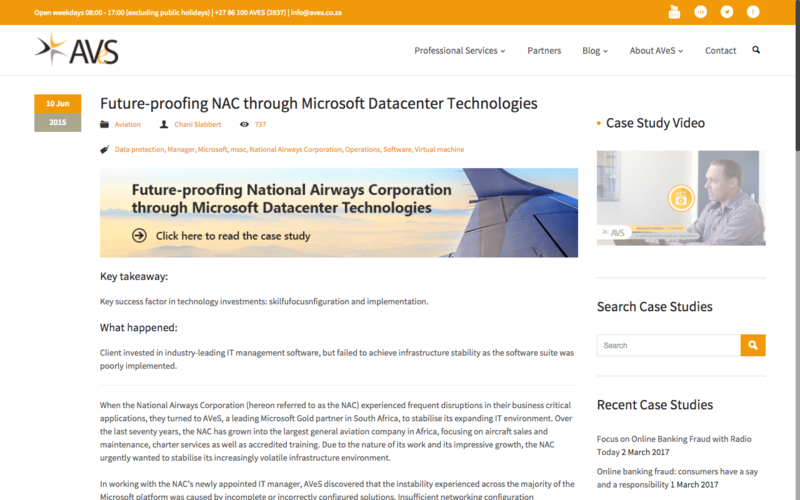 When the National Airways Corporation (hereon referred to as the NAC) experienced frequent disruptions in their business critical applications, they turned to AVeS, a leading Microsoft Gold partner in South Africa, to stabilise its expanding IT environment. Over the last seventy years, the NAC has grown into the largest general aviation company in Africa, focusing on aircraft sales and maintenance, charter services as well as accredited training. Due to the nature of its work and its impressive growth, the NAC urgently wanted to stabilise its increasingly volatile infrastructure environment. 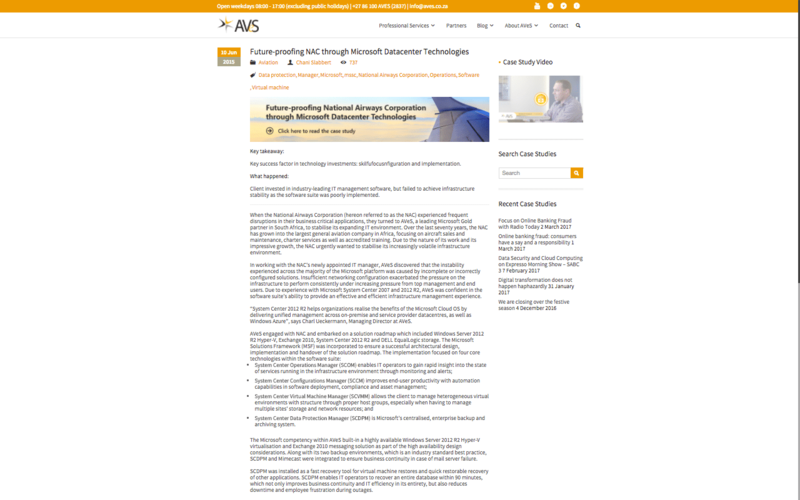 In working with the NAC’s newly appointed IT manager, AVeS discovered that the instability experienced across the majority of the Microsoft platform was caused by incomplete or incorrectly configured solutions. Insufficient networking configuration exacerbated the pressure on the infrastructure to perform consistently under increasing pressure from top management and end users. 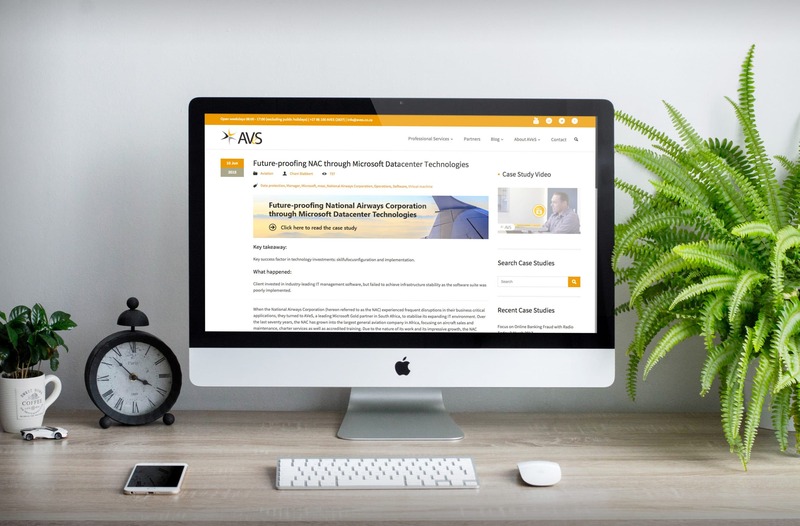 Due to experience with Microsoft System Center 2007 and 2012 R2, AVeS was confident in the software suite’s ability to provide an effective and efficient infrastructure management experience. “System Center 2012 R2 helps organizations realise the benefits of the Microsoft Cloud OS by delivering unified management across on-premise and service provider datacentres, as well as Windows Azure”, says Charl Ueckermann, Managing Director at AVeS. System Center Data Protection Manager (SCDPM) is Microsoft’s centralised, enterprise backup and archiving system. The Microsoft competency within AVeS built-in a highly available Windows Server 2012 R2 Hyper-V virtualisation and Exchange 2010 messaging solution as part of the high availability design considerations. 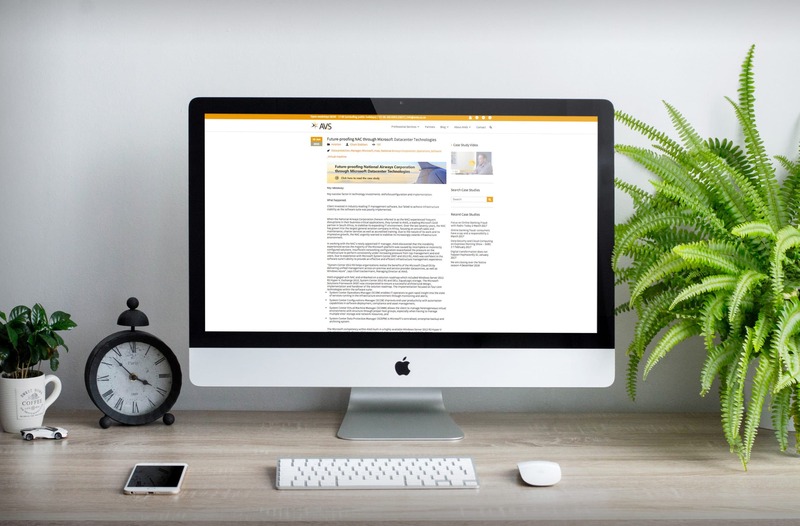 Along with its two backup environments, which is an industry standard best practice, SCDPM and Mimecast were integrated to ensure business continuity in case of mail server failure. SCDPM was installed as a fast recovery tool for virtual machine restores and quick restorable recovery of other applications. SCDPM enables IT operators to recover an entire database within 90 minutes, which not only improves business continuity and IT efficiency in its entirety, but also reduces downtime and employee frustration during outages. “The guys went over and above what was expected of them. We were lucky to have someone onsite nearly every day. When I joined the company, the exchange server fell over almost every day. Since the project has been completed, we haven’t had a single failure and that is exactly what we set out to achieve”, comments Brandon Kennedy, IT Manager at NAC. The project was completed within one month of the initial scoping meeting, which is a win for both the client and AVeS. “Together with the client, we will continue to assess the environment’s evolution to anticipate shifts in its technical business requirements and to be pro-active enablers of business,” concludes Ueckermann.